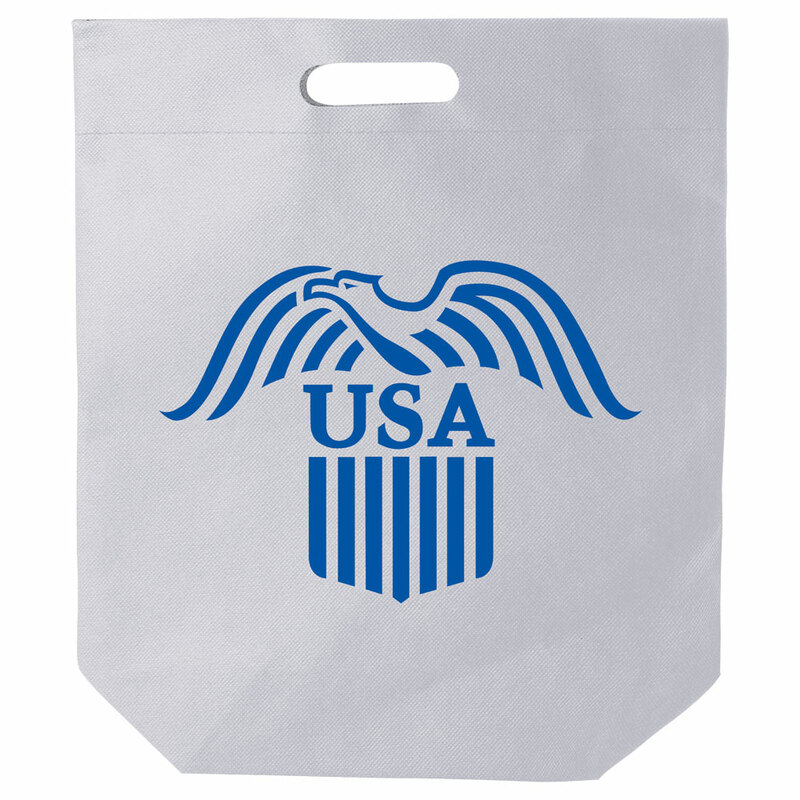 A great handle bag to advertise your brand! 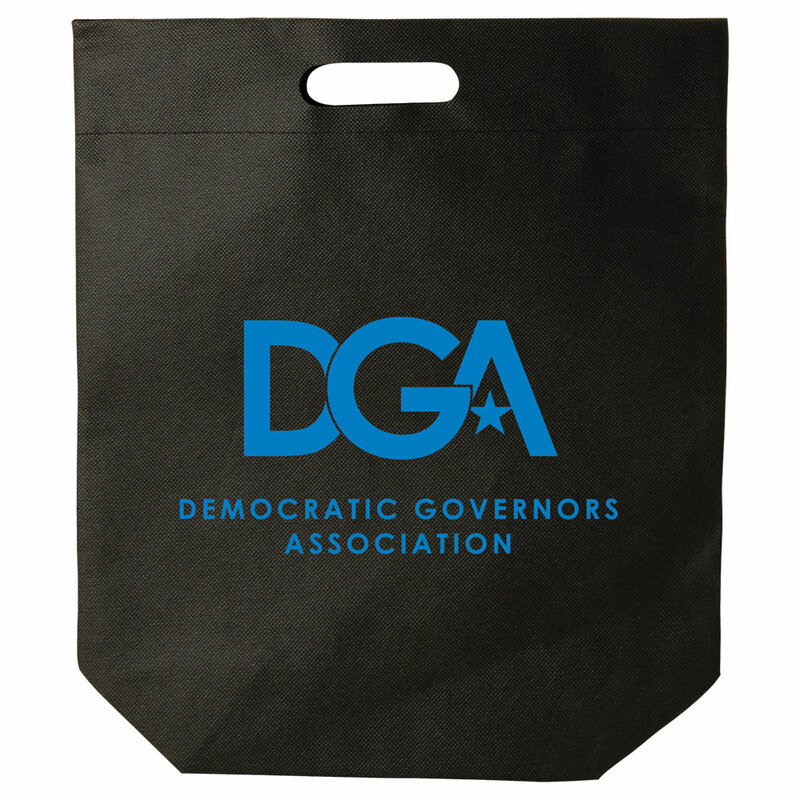 Made from 60 GSM non-woven polypropylene, this die cut handle bag is the perfect giveaway bag to store all kinds of goodies. 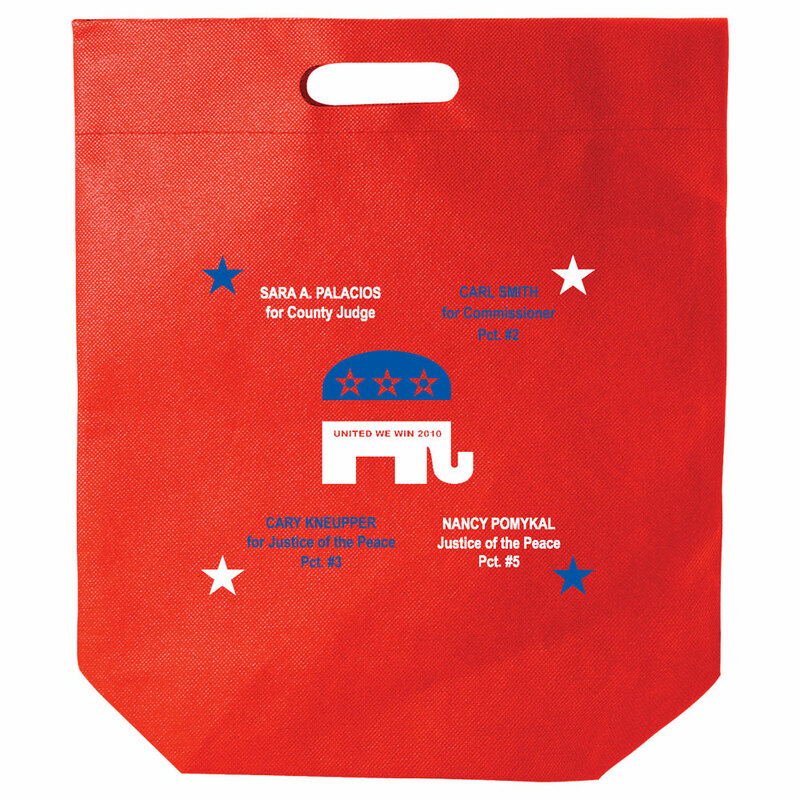 Featuring with square bottom corners, this bag comes in 2 different sizes and is available in 2 great colors. Bags measure15" x 18" and 12" x 15". Sold per bag by case.